Eventually humans will control evolution, not just through DNA tinkering but also by merging with our technology. Tech-Philosopher Kevin Kelly postulates that as technology becomes ubiquitous, it disappears from sight. As digital computers shrink towards the nano scale, it is inevitable that humans will implant these as augmentations. Just last month, DARPA announced a program to develop a digital brain implant to help augment human memory as a treatment for various brain disorders. In April of this year, scientists tested a new DNA-based nano robot that can release medications in highly targeted and controlled ways. Very soon, we will be able to eradicate cancer with targeted treatments which only attack cancerous cells. Current chemo-therapies will be remembered as nothing more than witch doctor medicine. How soon till we are all walking around with nanobots embedded in our bloodstream? Science continues to push the boundaries of the human genome. Very soon, every baby born will have her genome sequenced as part of her medical file. Doctors will become truly proactive at protecting against genetic illnesses before they become a danger. Eventually, we will be able to genetically engineer out these weaknesses and improve the human animal. Imagine a world without hemophilia, autism or all the other genetic diseases. It can all happen once we can engineer the human genome. This is a critical convergence point. 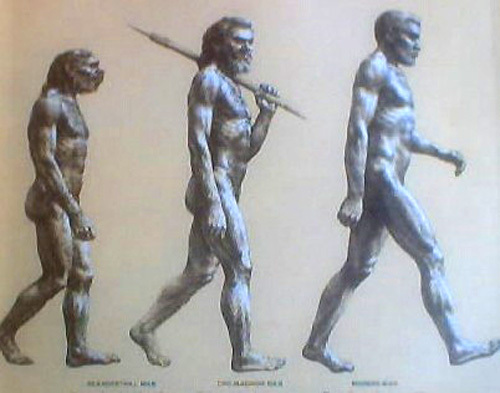 When we can tinker with our own DNA to make changes, and we can control that process via nanobots, we stop being Homo Sapiens and cross the threshold into Homo Evolutis. At that point we become the masters of our own evolution and the human animal will explode into a dizzying array of variations and permutations. Suddenly, you can sport pink hair for that fancy dinner party and then change it back before work on Monday. You can tinker with your DNA to adjust your weight or even your height, within certain limits. Who knows? Maybe we could even geneer (gene + engineer) humans capable to withstanding hard vacuum or even those who can breathe CO2 instead of O2. The limits of current humanity end and a whole new human race begins.